What do you want when you buy dive business insurance? 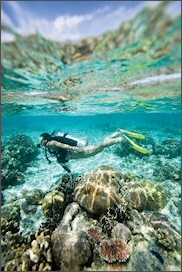 Why PADI-endorsed Dive Center & Resort Insurance? In these economic times, you deserve the most insurance protection and the best security you can find – at the most economical price. Your business assets and the money you spend to protect them are more important than ever. Don’t assume – get a quote and see the value for yourself.